It should go without saying that data-driven decisions are at the heart of many growing companies. 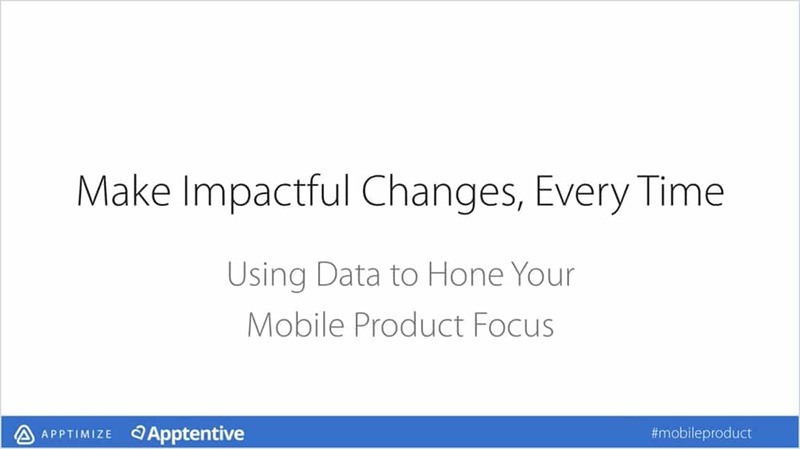 In this webinar held by both Apptimize and Apptentive, we show you how you can measure the impact of product changes in a way that can guide future strategy. As the Head of Marketing for Apptentive, Emily leads marketing strategy, demand generation, digital/social advertising, marketing communications, brand messaging, product marketing, and a lean, high-performing team over in Seattle. That’s quite a lot of things to lead. Kendrick is on a mission to show the world that there’s a better way to develop on mobile. He helps product teams build better, data-driven apps that engage and delight their users.